A selection of my favorite clips, loosely organized by topic. As Swaziland's economy struggles, Africa’s last absolute monarch faces a growing chorus of critics. National Geographic. Made in Africa: Will Ethiopia's Push for Industrialization Pay Off? Can Africa's "developmental state" drive a manufacturing boom on the world's least industrialized continent? World Politics Review. How Do You Say Kimchi in Kinyarwanda? South Korea is offering lessons from its own economic ascent to Rwanda and other African countries - and bringing business, cuisine, and rice paddies along with it. Foreign Policy. Beijing-fueled lending is upending the politics of one of China’s oldest African allies. World Politics Review. An amended constitution could allow Paul Kagame an additional 17 years in office; not everyone is cheering. Al Jazeera America. Witnesses and journalists connected to the international court proceedings against Kenya's leaders are turning up dead. Al Jazeera America. Rwanda's capital, Kigali, has transformed into one of Africa's cleanest and safest cities. Yet its housing strategy doesn't match up with its residents' financial realities. Al Jazeera America. Twenty years after war left her family separated, a Red Cross letter helps a grandmother make a shocking discovery. Al Jazeera America. In a first-of-its-kind endeavor, electricity-starved Rwanda and the Democratic Republic of Congo are trying to get power from a lake—and avert catastrophe. MIT Technology Review. The mystery surrounding a wounded conservationist and the fight for the DRC's war-torn Virunga National Park. National Geographic. In 2010, fewer than one in five Kenyans had electricity. Now some sixty percent do—thanks mostly to geothermal power. National Geographic. New coal plants in Africa are largely being paid for by China and developed countries that are turning away from the technology at home. National Geographic. From Drought to Green Revolution? As climate change makes growing seasons less predictable, the quest for food security in Malawi and other African countries is an uphill battle. World Politics Review. New voting technologies promise to make elections worldwide more credible. Yet as Kenya's elections have proven, they're no match for a broken political system. The Atlantic. In Rwanda, an early commercial test of unmanned aerial vehicles cuts a medical facility’s time to procure blood from four hours to 15 minutes. MIT Technology Review. Kampala’s moto-taxis have joined the ride-hailing movement with a promise to address one of its biggest transportation problems. MIT Technology Review. Innovative African e-tailers are offering sought-after goods to the continent's growing middle class. But logistical challenges must be worked out delivery by delivery. MIT Technology Review. New entrepreneurs are bucking the eastern Congolese city's trend as a dangerous backwater. Al Jazeera America. 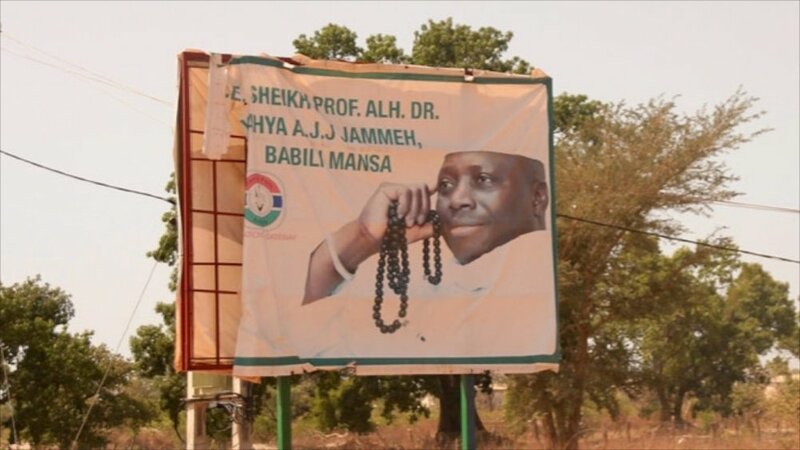 The world saw the Gambia's Yahya Jammeh as a brutal, eccentric dictator. But his hometown still loves him. Roads & Kingdoms/Slate. China's top runners are training under an Italian coach in a Kenyan town that has produced some of the top marathoners in history. Roads & Kingdoms/Slate. 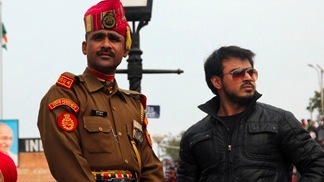 A trip to the Wagah border of India and Pakistan reveals, in festive style, the roots of the sixty-six year standoff between the two countries. Roads & Kingdoms. Community-based ecotourism helps former war-torn province move toward a more productive and ecological economy. The Boston Globe. Jon travels to the pygymy homelands at a tense time in the Congo and finds that the Mbuti, for all their troubles, are keeping calm and carrying on. Roads & Kingdoms. A journey to the Tanzanian hinterlands in search of a man who claims to have cured millions through an elixir prescribed by God. The Boston Globe.